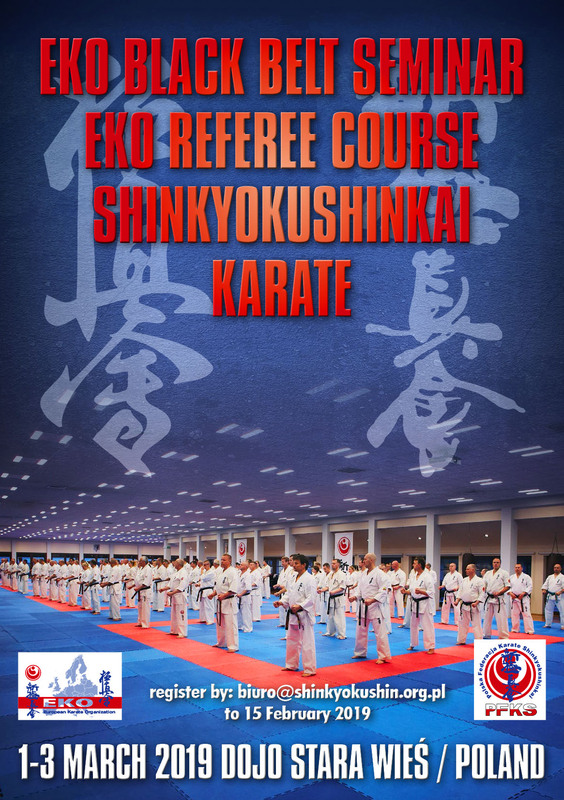 On behalf of the EKO Technical Committee and the EKO Referee Committee, I would like to invite you and your members to take part in the EKO Black Belt Seminar and the EKO Referee Course on 1-3 March 2019 in the “DOJO STARA WIES”. Special guests will be President EKO Koen Scharrenberg and the legend of world karate shihan Brian Fitkin and other European instructors. Less than a year ago, after many years, the European Black Belt Seminar was held, which was a major European training and promotional success, as evidenced by very positive feedback from the participants. I am glad that the EKO Technical Committee and the EKO Board decided that in 2019 the European Seminar will be held again. I am proud that we can organize them again in Poland, in a beautiful place, the Japanese Martial Arts Center “DOJO STARA WIES”. 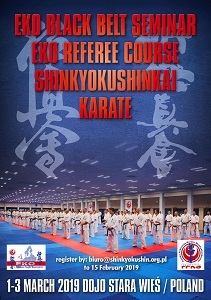 A very important information is also the fact that during the EKO Seminar EKO Jury Commission will conduct the Referee Course. The course will be completed with an exam and it will be possible to get a higher category of judge. Additional information for the judges will be sent by the Chairman of the Referee Committee EKO shihan Michael Soderkvist. The cost of participation is 170 euros. The seminar starts on Friday, March 1st at 16:00. End of the seminar Sunday, March 3 at 12:30. When planning a trip, it should be remembered that the distance from Warsaw is 200 km, car travel about 3 hours. For an additional fee we can arrange transport from the airport.